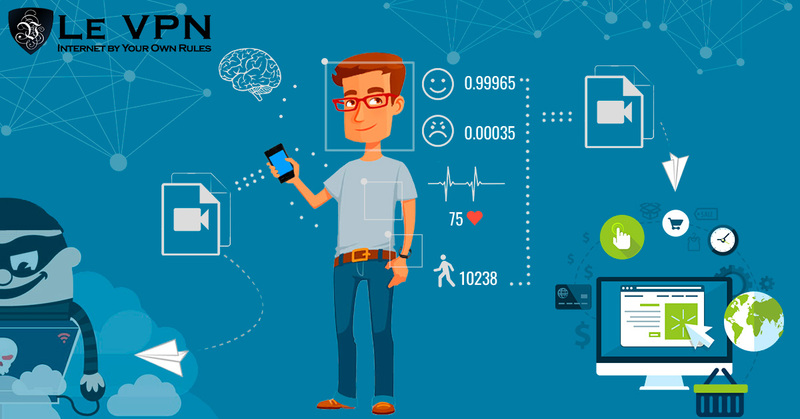 After the Internet of Things, the Internet of Emotions may be the next leap in digital connectivity and the future of online security risks. The Internet is evolving around us in amazing, and scary, ways. What once was a simple method of connecting digital networks used only by the biggest businesses and government agencies has become so ingrained in our daily lives as to make life without it virtually impossible. The latest development, the current state of the Internet, is the build-up of the Internet of Things. The Internet of Things is, in a broad sense, the movement to put a computer chip everywhere and in everything, with as many capabilities as possible, for the collection, transfer and analysis of data, and to improve our daily lives. This in itself is a scary concept as it means that machines, computers, your city, your home, your car and even your clothes are tracking you, collecting data about you and using that data to do….what? In most cases the uses are harmless and fulfill the intended purpose of the device. At home this may be the collection of temperature for a climate control unit, it may be the collection of heart rate while exercising or which types of movies you like. At work the Internet of Things may help increase efficiencies on a manufacturing line, distribute data across devices/platforms or allow minute adjustment to controls in a remote location. The scary part is when you consider, and truly understand, that all these devices are connected together, and connected through the Internet, and transferring important information about you, your home, your family or your business across unsecured connections for all to see. Every time your devices need to connect to the Internet they put you at risk, and these devices are connecting to the Internet all the time and often without you even knowing about it. 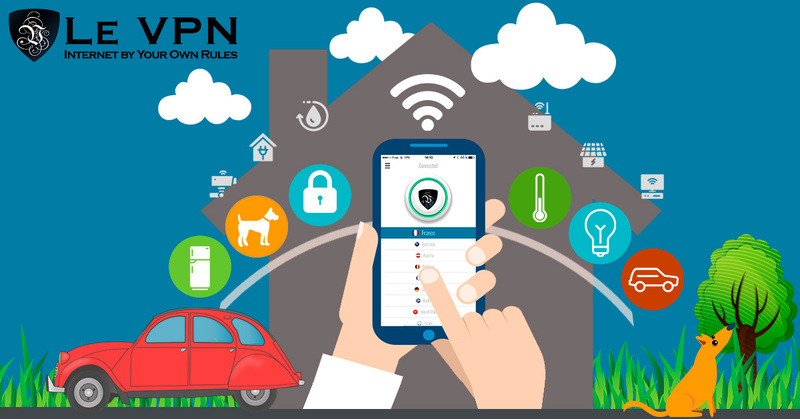 Most IoT devices do not have security features included which makes them a potential entry point for attack as well as a source of leakage. Anyone monitoring traffic to or from the devices home website could easily spot your connection and use it to deliver malware, at the same time anyone driving by your location can detect Wi-Fi enabled devices and target them for attack. Consider this. 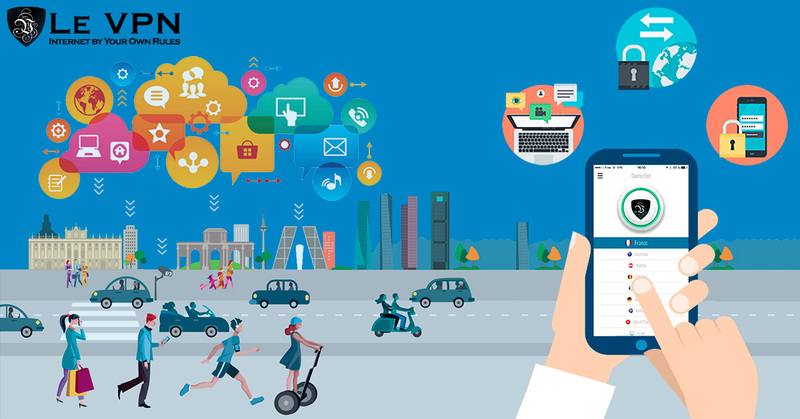 Experts estimate that there will be more than 50 billion connected devices by the year 2020. That is an average of 6 per person and may actually be a low estimate. At my house I have a phone, a cable box, a Wi-Fi enabled printer, a Wi-Fi enabled baby monitor and a Wi-Fi enable vehicle so I’m already pushing average and that doesn’t take into account people like me who may also have a FitBit, Apple Watch or other wearable device. Add to this people who choose to use Amazon’s Alexa device or AppleTV and the depth to which the Internet of Things has penetrated our lives becomes all to clear. It is only a matter of time before the Ghost In The Machine comes to life. The next phase of the Internet of Things is speculatively called the Internet of Emotions. It is one of 5 scenarios developed at the Center For Long Term Cyber Security located at the University of California, Berkeley. These scenarios were developed with the idea, how will the Internet evolve and what security challenges those changes will bring. Experts predict that by 2020 bio-sensing will be the biggest growth area on the Internet. Businesses, organizations and individuals will make huge advances into tracking, and using, how people feel. For now, experts say that bio-sensing devices are mostly just curiosity pieces, useful for the individual (sometimes) and a good “conversation starter” destined for a spot in the back of a drawer in only a few weeks. With 50 billion connected devices tracking heart rate, temperature, voice patterns, hormones and more it is conceivable computers will be able to track your real-time emotional state. Highly advanced algorithms could use the data to predict behavior and outcome. Not only will computers be able to predict emotional states and outcomes for individuals, this technology could be used to monitor groups of people, populations, countries and the world. The big break-through will come when these devices are linked together in a way that tracks large groups and generates data about their interactions, and emotions, within larger populations. Additional value will be created when that data can be correlated to external events, the cause for the reaction. The biggest question raised in this scenario, and one of the biggest future risks to cybersecurity, is will criminals be able to control and manipulate people’s emotions over the Internet? The answer is a resounding Yes and we know this to be true because manipulating emotions for a specific goal already happens every day. It can be seen in advertising and any form of persuasive material, a predictive algorithm could use emotional flags and triggers to lead individuals or groups to a targeted decision or outcome. In other cases a history or your emotional /physical state intended to aid doctors treating you could be used for blackmail or to preclude you from a job you wanted. In this scenario all Internet users would need to protect their very psyche from cyber-criminals looking to take advantage. Today’s IoT is built primarily of sensors, data collectors and remote actuators. What if tomorrow’s IoT devices could trigger physical responses in humans such as increased heart rate, breathing or temperature? The combination of this with the Internet of Emotion technology opens the possibilities of emotional control and the potential of a person to be “hacked”. A predictive algorithm will read your state and guess an outcome; a control algorithm could start with an outcome and then manipulate your emotions to make it happen. Miniaturization is key to Internet of Emotion. As technology progresses the size and capability of IoT devices will aid the advancement of the Internet of Emotion. Today’s devices are cumbersome and clunky compared to what is expected to come. Brainwave sensors may be installed in the arms of glasses or inside a hat-band, contact lenses may be able to detect pupil contractions as well as track hormone levels in the blood, your rear-view mirror may track facial micro-expressions and they will all track who is near you, and where you are. The uses for the Internet of Emotions is vast and not limited to illicit gain, don’t let me scare you too much. Imagine knowing if your date was going as well as you thought it was, or how a business partner really felt about a potential deal, emotionally verified information, or that AI became a reality. A machine that could use big data analytics and the Internet of Emotions to track its own interactions with humans, and moderate its own behavior to remain within accepted norms, would have an incredible advantage and the potential to surpass the scope of human intelligence. Emotions are already being incorporated into the billions of terabytes of data being generated each day. Facebook lets you like posts with an angry, love, sad or laugh emotion and there are already emotion tracking apps. Moodnotes lets you track your feelings using a digital diary, but not in real time. When something happens you fill out the event report and it will help you, supposedly, develop better thinking habits. The Feel wristband and Moodmetric ring use bio-sensors to track changes galvanic skin response and temperature to detect changes in emotion. The wristband is intended to provide personalized coaching to help achieve emotional goals, their catch-phrase is “Hack Being Happy”. The Moodmetric ring tracks stress levels and response time for the purpose of managing stress, and your reaction to it. EmoSpark is a smart-home connected device that uses voice pattern recognition, facial recognition and word choice to create personal profiles of those it comes in contact with. The profiles are then used to pick and deliver music, video and other streaming media to fit your mood. The Quantified Self movement is already embracing the Internet of Emotions. It uses technology to collect data on all aspects of daily life from foods eaten, exercise habits and weather quality to mood, physiology, stress and performance in an effort to “know oneself”. Today’s Quantified Self practitioners rely on wearable devices that in the future may be incorporated into capsules swallowed or purposefully hidden under the skin. According to data from Pew Research and Nielson roughly 20% of all consumers own some form of wearable device, steady over the past few years, with that number expected to skyrocket over the next 3. Sentiment Analysis is the practice of tracking shifts in public opinion using a variety of tools including text analysis, biometrics and social media. It is also commonly known as opinion mining and emotion AI and is the precursor to tomorrow’s more advanced Internet of Emotions. Its value will explode when technology is able to combine Quantified Self, mood sensing bio-sensors and Sentiment Analysis into a cohesive unit. Another potential threat that the average person does not think about is the collapse of the Internet as we know it. It’s hard to imagine I know but it is possible. Today websites and Internet based companies are supported by a market obsessed with technology and the latest “new thing”. Most web-based businesses derive revenue entirely through the Internet by monetizing traffic with advertising and online services. If demand were to evaporate, possibly due to a declining need for third party services, and revenue were to disappear, companies would begin to disappear. In a destabilizing market, remember what happened during the DotCom bust, a “war for data” could arise as criminals and businesses try to scoop up valuable assets and intellectual property. What if the hackers get so good that there is no expectation of Internet safety or security, if the basic expectation was that “my information is going to get stolen no matter what I do”. In this world the average Internet user would need more than just a working knowledge of the Internet, those with real skills could hire out as digital mercenaries working to protect you from assault. There is also the possibility, however unlikely, that this type of scenario would tip the balance between benefits and risks firmly toward risk and precipitate the end of the Internet as we know it. This would in turn lead to global depression as millions of IT and web-based workers find themselves out of work. With the rising number of data breaches reported in the news it is not unlikely we will see some kind of shift in attitude over the next few years, even if it does not reach an extreme. Security during the Internet of Emotions or in any of the future scenarios put forth by the CLTC report will be vastly different from what it is today. Where today’s Internet user may barely give a moments thought to safety while engaging with the web, tomorrow’s user will have to be a savvy user indeed. Not only will they have to worry about the safety of their devices and data but also their emotional vulnerabilities. By extension communities, businesses, organizations and governments will have to be watchful for potential threats that may spark a massive shift in public perceptions. In this world there will be 3 key focus points for online security, devices, data and emotional quality. 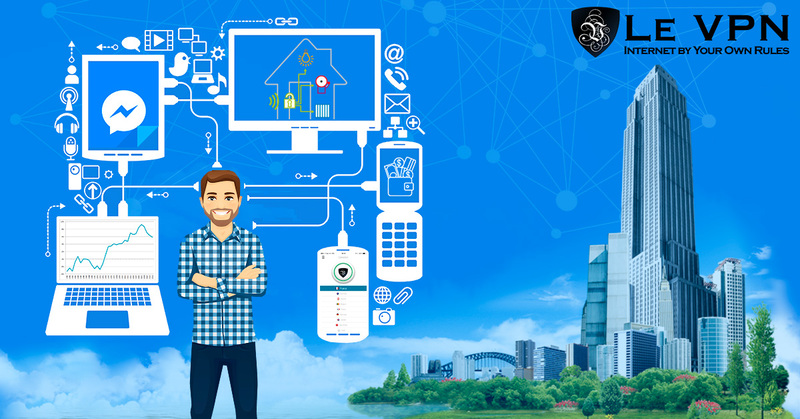 As the IoT and IoE builds out there will be more and more devices connected to the Internet, and more devices per person, making them a front-line target for attack by hackers and black-hats. They may use vulnerabilities in hardware or software to gain access to networks or individuals and those using implantable devices the most at risk. Implantables are part of the future but their very nature makes it hard to upgrade software or repair flaws, you can’t just take it out and go to the shop. Those using medical implantables such as pacemakers and defibrillators are already at risk of catastrophic interference from hacking and that will only get worse in time. One speculation within the CLTC report is that hackers may eventually be able to influence your DNA. Data is the product when it comes to Internet, whether it be your business data, personal data or future emotional data. As the nature, scope, complexity and usefulness of the data generated increases so to will its value which makes securing it of the utmost importance. Since the first to use the new IoE data will be businesses the risk is two-fold. First, there is the chance that someone from within the organization will turn to crime and steal data as it is generated. Second, companies generating and analyzing IoE data sets will become targets for hackers seeking to steal the valuable commodity. Emotional well-being is the third focal point for future cyber security. Not only will users of the Internet have to wary of emotional manipulation they will have to protect their emotional profiles. Phishing attacks will grow in sophistication from social engineering to emotional engineering. Campaigns that now use compelling verbiage may soon include emotionally charged phrases to trigger responses from targeted individuals or groups. A hacker may target a business, not for theft but to produce a decrease in productivity. The good news is that while the Internet advances, and the potential for cyber crimes, so will security technology. The front line of defense will be to use best practices, however they evolve, but that is by no means the end of your security needs. These include anti-malware, anti-virus, password protection and more but still leave vulnerabilities. Cyber-criminals can still use devices as gateways to networks, you data is still at risk and you are still vulnerable to emotional attack. The key to safety in this world will be to maintain secure connections and anonymity that can only be provided by a VPN. VPN, virtual private network, is a group of top-level digital security protocols that have been developed and used by big business and the government. The technology dates back to the very creation of the Internet and provides protections that the public has no idea exists now, and will find commonplace in the future. At heart is the “tunneling protocol” which creates a secure connection. This protocol bypasses ISP’s in favor of VPN enabled servers operated by providers like Le VPN. These tunnels are undetectable to outside viewers and mask IP addresses so websites you visit won’t know who you are. If by chance the connection is detected there is no way to know where it came from, or where it is going. In addition to these benefits some VPN protocols include encryption algorithms that make your transmitted data so hard to decipher criminals are better served looking for new targets instead of targeting you. Regardless of where the Internet goes from here it is clear that cyber crime will advance with it. With that in mind it only makes sense to use the best security technology available and that is VPN. Le VPN has been committed to the advancement of cybersecurity since its inception and is working hard to keep pace with the future needs of today’s Internet user.